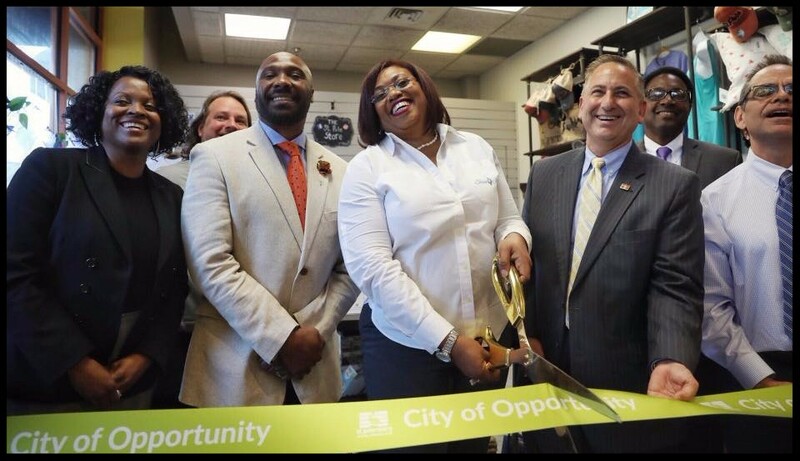 Two graduates of our CBDI Program celebrated recently at Ribbon Cutting ceremonies led by Mayor Rick Kriseman and St. Petersburg ChamberCEO Chris Steinocher. On Thursday, October 19th, owners Bruce and Andrea McWilliams commemorated the Grand Opening of Brea’s Coffee‘s first brick-and-mortar location in the Skyway Marina Mall. Originally, Brea’s Coffee began as a mobile coffee business, but their steady success has led to the opening of their own storefront in the Skyway Marina District. Bruce McWilliams participated in the CBDI Program, attending the Ice House Entrepreneurship Program cohort in the fall of 2016. As a local, family-owned business, Brea’s Coffee supports the community by giving back up to 30% of contributions from their community partnerships and fundraising efforts. 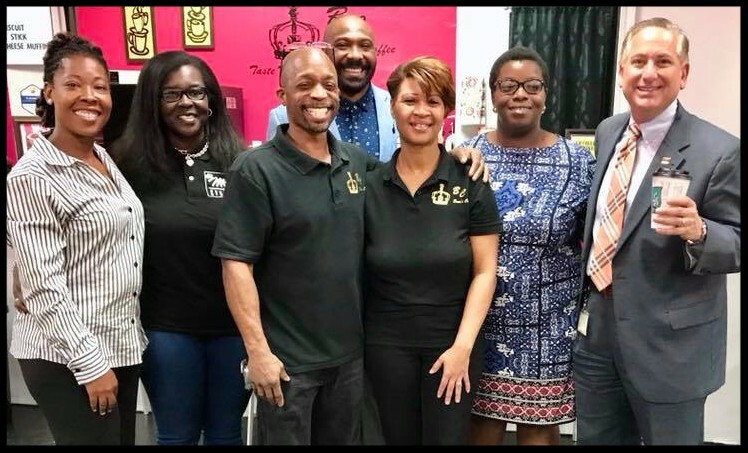 Exactly one week later, on Thursday, October 26th, another CBDI graduate, Renee Edwards, also celebrated with a Ribbon Cutting for her startup, Skin Kandii. Skin Kandii is a St. Petersburg-based firm that manufactures and sells a line of all natural skin care products including body scrubs in natural scents. 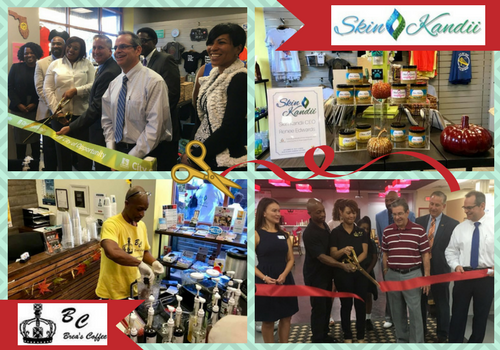 Last week’s ceremony marked the launch of Skin Kandii‘s products, now available for sale in the St. Pete Store & Visitor’s Center. Skin Kandii is the first African American-manufactured product line sold in The St Pete Store. By the holiday season, the products will be available for purchase at eight local retailers in St. Pete. Renee Edwards participated in the CBDI Program alongside Bruce McWilliams; however, she attended the BB&T Entrepreneurial Academy track in the Fall 2016 cohort. Renee also took part in a similar program led by the Tampa Bay Black Business Investment Corporation (BBIC), the CATCH program.